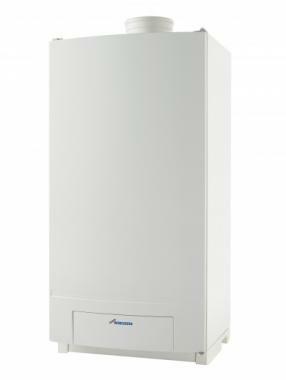 The GB162 65kW system gas boiler is manufactured by Worcester Bosch and is a wall mounted unit. This range of system boilers is perfect for both large domestic as well as commercial applications and it can be installed on its own or as part of a multi-boiler cascade system. The GB162 is a highly efficient boiler with an output of 65kW and an efficiency rating of 93% making it an A rated boiler. The GB162 is a compact wall hung condensing boiler that is flexible in where it can be placed. This boiler can be compatible with solar thermal installations and easy to use controls. It comes with control options that include intelligent features such as weather and load compensation, helping to ensure you get the maximum efficiency and comfort. This boiler is available with 2 years warranty.